We’re talking about coffee cupping, I don’t know what are you thinking about. 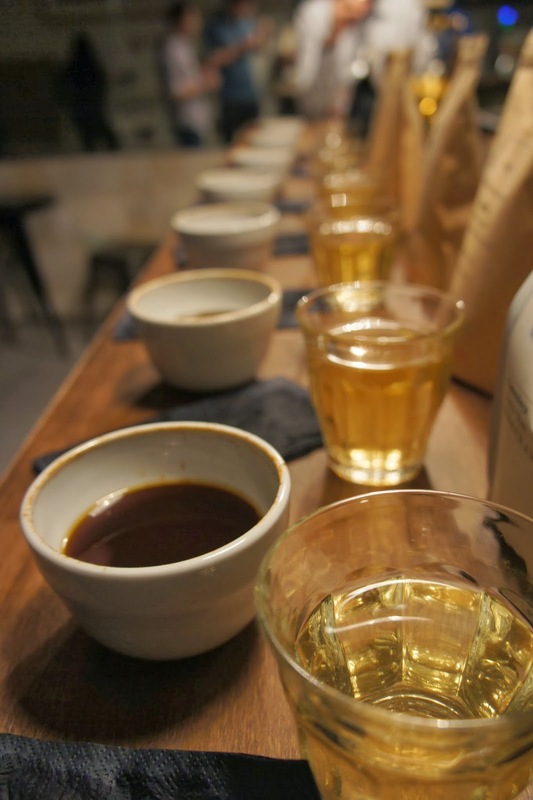 Yesterday we went to Zurich for a cupping session in the relatively new pop up coffee shop Bear Brothers & Cow. The cupping itself, even though it was public, it was rather intimate since we were just a couple of people. 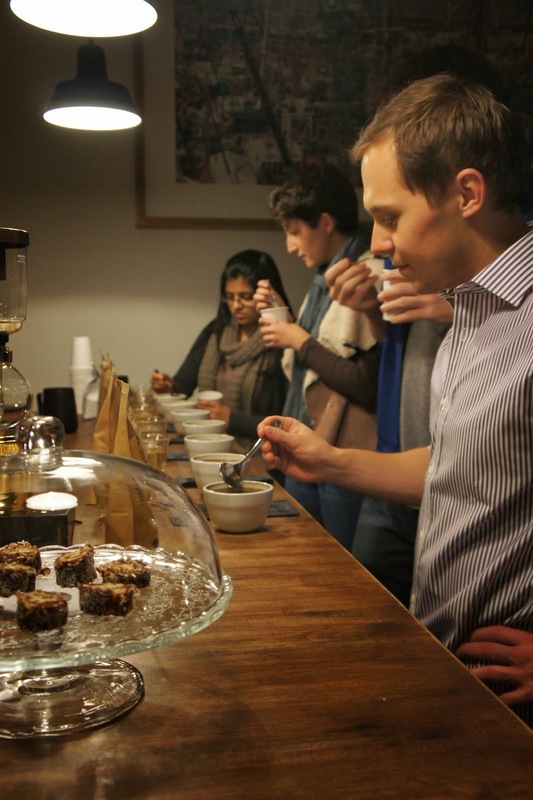 We tasted seven filter roasts – different varieties from Ethiopia, Rwanda, Kenya and Costa Rica. 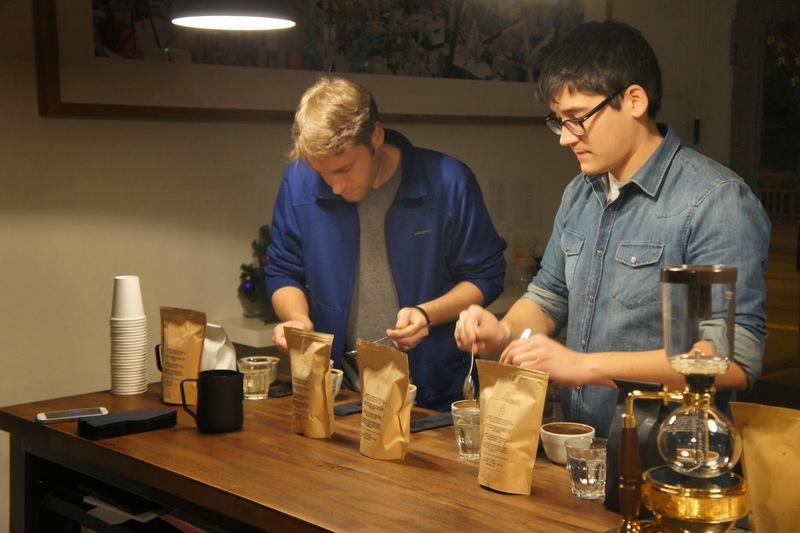 Five of them were roasted in Berlin – one from Bonanza Coffee the others by The Barn Roastery. There was one from Stoll Kaffee in Zurich and one from the fairly famous Square Mile Coffee Roasters in based in London. 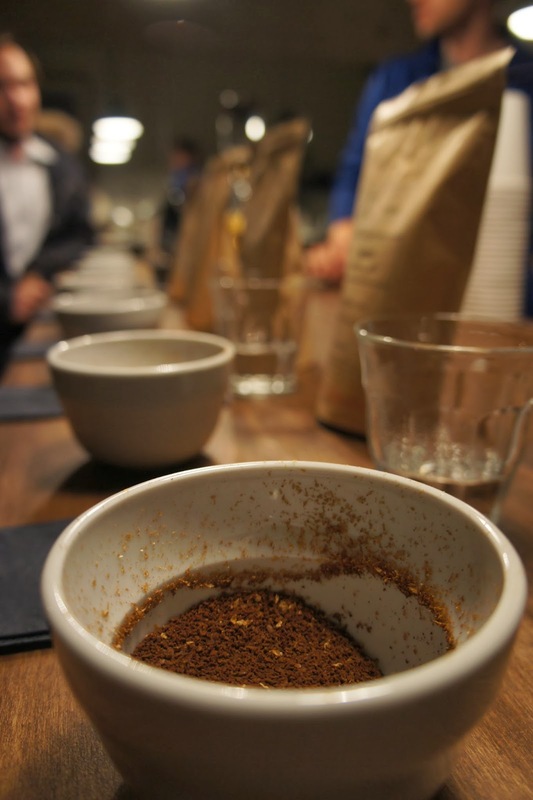 For us, as absolute newbies in coffee cupping, it was hard to assess the coffees’ body, taste and flavour. While the their basic differences are easy to perceive, to recognize the finer nuances you need a great deal of experience. For the trained cupper every aspect of the coffee that is sampled matters – variety, processing method, taste, body, sweetness, acidity, flavour, aftertaste and the list continues. For us, well…I think we got the difference between the naturals and the washed ones. The naturals are more intense in flavour and don’t taste like common coffee. Actually, non of these coffees tasted like the grinded coffee you buy from the supermarket. That’s what I like about specialty coffee, it always surprises you with it’s aroma and taste. 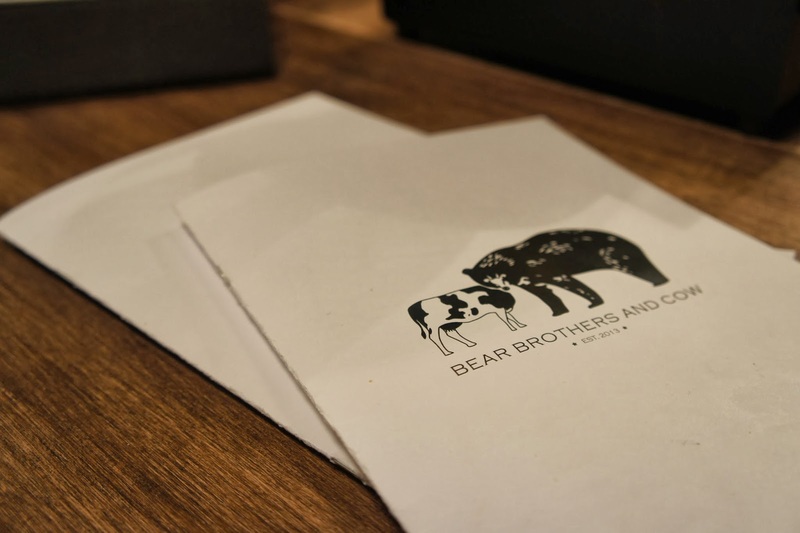 And these are the brothers from Bear Brothers & Cow. Even though they’re not brothers, I just started calling them this way, which makes me wonder, who’s the cow then? 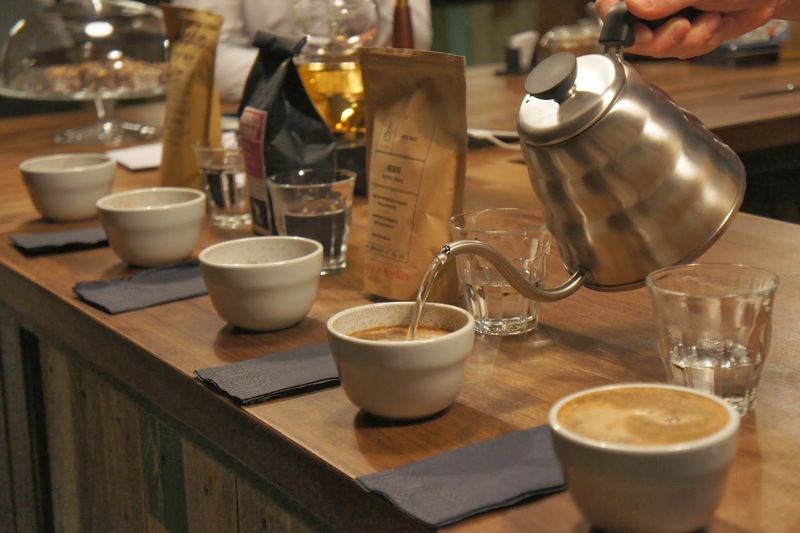 We had a great evening and I’m sure we’re going to continue participating in such wonderful coffee events as the public cupping in Bear Brothers & Cow. From next time we’ll also try to give you more detailed information about the coffee we’re tasting.